This Weekend: I’m Tabling the Bucks County Ancestry Fair | Photo Restorations by Tim G.
A scene from the Bucks County Ancestry Fair, 2013. 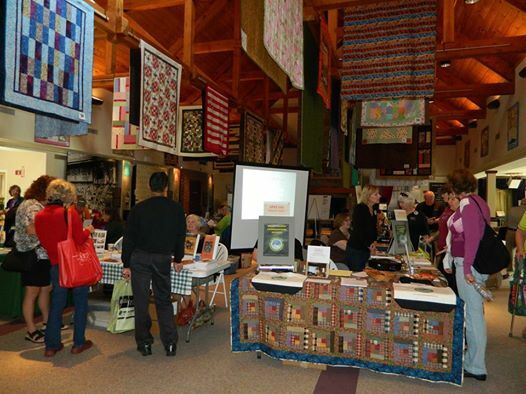 Image from the Bucks County Genealogical Society’s ‘Ancestry Fair’ home page. I’d like to take a moment to invite one and all to the Bucks County Ancestry Fair this weekend. The Bucks County Genealogical Society will host the event this Saturday from 9:00 AM to 4:00 PM at the Bucks County Visitors Center, 3207 Street Road, Bensalem, PA 19020. There will be plenty of great speakers and tables, including Joyce Homan of the Genealogical Society of Pennsylvania. For more information, see the event page at The Bucks County Genealogical Society website. Bring some pictures with you to the event. I will have my scanner with me. Time permitting, I may attempt some light restorations on site. I will offer quotes for heavier restorations and add them to my work queue. Like everyone else who will be at the event, I am a genealogy buff, so I would love to chat family history! I will be leaving in a bit of a haste later in the afternoon to join in the celebration of the marriage of my wonderful cousin Kelsey to her fiancee, Johnny. That’s going to be blast, and I send my early congratulations out to this fine couple!